Should You Take a Dysfunctional Family Care Management Case Over the Holidays ? Do you know the right caseload mix so you have the intense time to handle these dysfunctional very heavy care families? 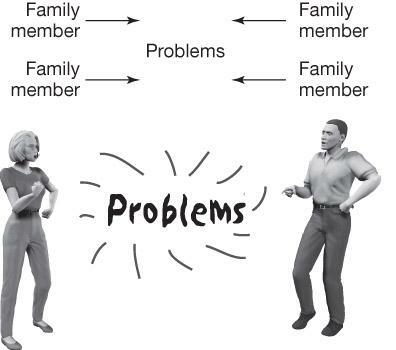 Do you have 5 years of geriatric care management practice to understand and work with dysfunctional families ??? Do you have the business model to realign your caseload for both light & Heavy cases? Can you increase your staff to do it? Do you know aging family dynamics or do you have a staff member who does? Do you have care managers who can work with complex aging dysfunctional families? Do You Know How to do a two call intake and complimentary consultation? Do You know how to make the sale to concierge clients? Are you ready to be fired and have an account receivable problems that come with these dysfunctional family cases? Do you know how to answer the challenge the adult children face and the client’s needs at the same time? Do you know how to hold an impromptu family meeting with visiting hard to handle, adult children of dysfunctional families, over the hectic holiday to plan care for aging parents? Do you understand the executive function loss that older woman experience when trying to plan a holiday ritual dinner that fails, upsetting their adult children? Can you work with narcissistic entitled older clients who are very demanding? Can you take the demeaning, blaming attitude of narcissistic old and new monied clients? Do you know how to avoid the VIP Syndrome with Concierge Rich and Famous clients? 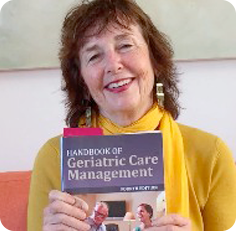 If you lack some of these skills consider my new Geriatric Care Managment On-Line Class that includes my Geriatric Care management Operations Manual to learn them and much more.